View our selection of benches that can be customized for memorial dedication, school spirit, or company branding! 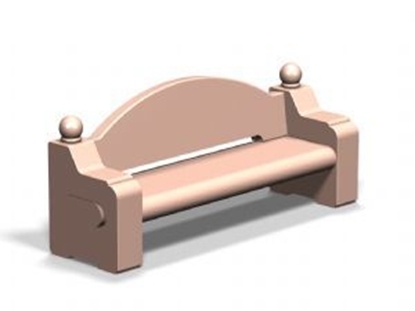 Browse our large selection of benches are can be use in a variety of commercial applications! 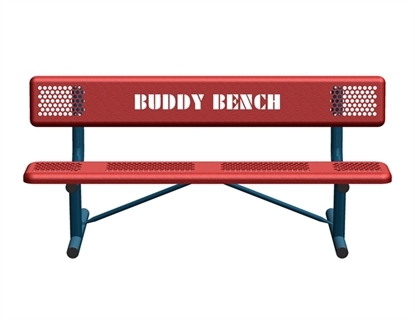 Buddy Bench, 6 Foot Perforated Steel, 168 lbs. 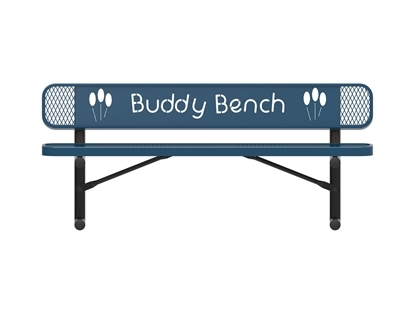 Buddy Bench, 8 Foot Perforated Steel, 168 lbs. 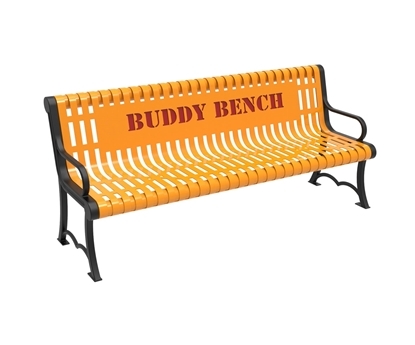 Buddy Bench, 6 Foot Wingline Ribbed Steel, 121 lbs. Personalized Concrete Park Bench for School Logos and Corporate Logs, Portable, 1955 lbs. 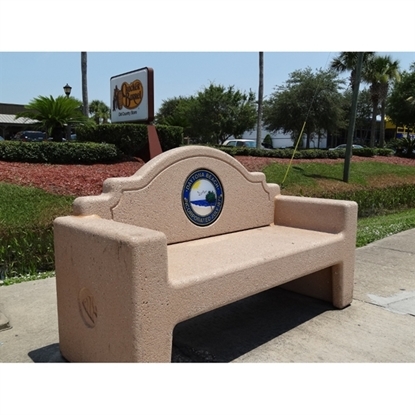 Memorial Logo benches are used to give a permanent honor to a loved one. Restaurants will enhance their waiting areas with a custom logo bench with a name or special company artwork. Just email us your logo for an exact match. Call us today to ask about matching trash cans, picnic tables, or umbrellas.